CitySound are accomplished singers with many years’ experience of entertaining, both nationally and internationally. CitySound has a wide range of music and our repertoire ranges from Mozart to Bohemian Rhapsody, Opera Choruses to Gospel and African songs. Since making Somerset her home in 2006, Australian soprano and choral conductor Ruth McKibbin established a reputation for musical and stylistic sensitivity which has been in demand by local choirs and in opera productions. Ruth has collaborated with international musicians such as Baka Beyond and Jamie Cullum. Ruth describes herself as a “singer’s conductor”. Her rehearsal methods bring together her experience and expertise as a chorister, soloist and teacher. Ruth is delighted to be invited to conduct CitySound and is committed to performing challenging and diverse repertoire and developing excellence in technique and interpretation. Ruth holds a Bachelor of Arts (Honours) degree in Music (1992), Postgraduate Diploma in Education (1995) from The University of Queensland and Master of Music Education degree (2005) from James Cook University, Australia. C.Y.C (Courage Youth Choir) is a youth Glee Choir that rehearses on Friday afternoons at the Wiltshire Music Centre. 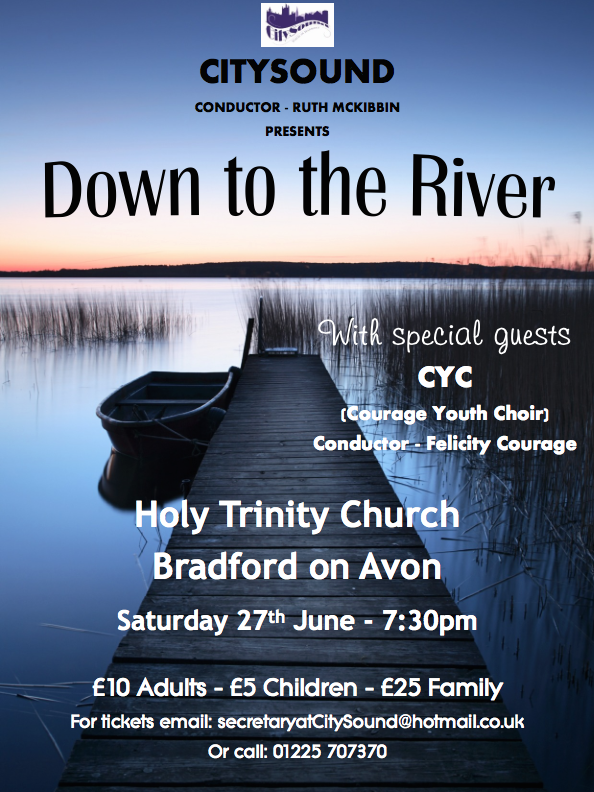 With conductor, Felicity Courage, the group of 12-18 years olds learn to perform every style of music, whilst putting their own twist on harmonies. C.Y.C sing in four part harmony and there are some incredible voices in the group. This is a new musical venture for young and local singers and C.Y.C. are looking for new members and performing opportunities to increase their experience.